A pair of elegantly poised stud earrings, with a glistening round cut diamond centre-piece, surrounded by a collection of more shimering set stones. A dazzling pair to capture hearts and the light from every angle. 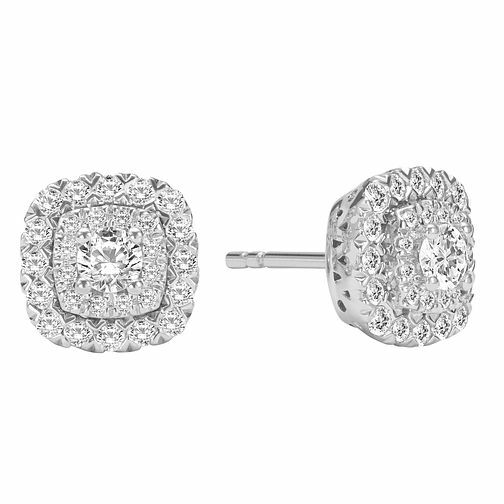 The total diamond weight of these earrings is 0.50ct.